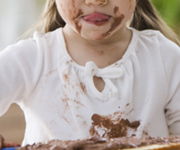 Tips for the worst Thanksgiving spills and messes. Everyone's excited for the big feast on Thanksgiving, but large gatherings and holiday meals often mean a series of spills, stains and accidents that can ruin a tablecloth, clothing, carpet and more. There's no shortage of stain-lifting cleaning hacks, but you only need one product to lift those tough Turkey Day messes from washable surfaces: Simple Green All-Purpose Cleaner. Simple Green easily eliminates stain-causing spills and splatters, greasy drippings and more with a powerful yet non-toxic and non-abrasive formula that's safe even for delicate fabrics, and can even be used in carpet cleaning machines. 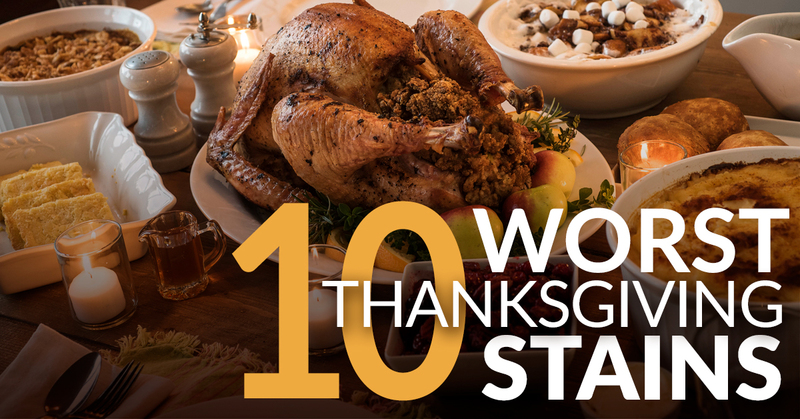 Here are the 10 Worst Thanksgiving Stains, with tips on how to clean them all! The big glob of gravy that lands on the tablecloth as you're drowning your mashed potatoes is easy to spread. 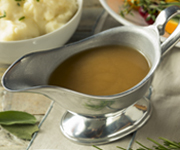 Gravy is a combination stain, meaning it contains a mixture of stain-causing ingredients like fats and proteins, which bind to fabric. Simple Green breaks down and emulsifies bonds of oil and grease, which releases the stain so that it can be rinsed away. 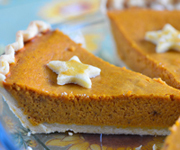 Sweet potatoes and pumpkin can leave a distinct orange stain. The glue-like starches can make removal tough, but Simple Green unlocks the bonds of these starches without damaging even delicate materials such as lace or chiffon, making a quick job of cleaning. Gently scrape off any solids with a spoon, and remove the stain with the tips below. 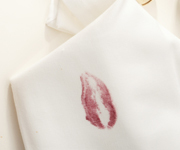 Act quickly, because those red wine stains can set notoriously fast. The pigment-producing bio-chemicals in the liquid easily dye fabric, and removing wine stains can be nearly impossible once they've dried. Don't add salt to the stain – it's a commonly recommended pre-treatment step, but this will only absorb the moisture of the wine, leaving behind the staining pigment. Dab or blot the surface (don't rub!) 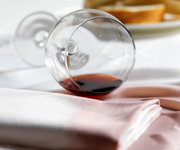 to remove as much liquid as possible, then use Simple Green to eliminate those stubborn wine stains. 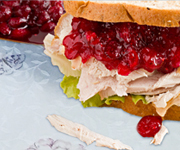 Whether it's homemade relish or the jellied sauce out of a can, cranberry stains are a lasting bright red mess if not treated properly – and quickly. Cranberries contain a concentration of tannins, a plant-based substance, that accounts for their bitter taste and also causes potent stains which are much harder to remove once set. Simple Green cuts through cranberry stains for easy removal, and is safe for use as a laundry pre-soak. 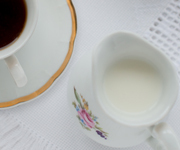 Coffee and tea stains are intimidating due to their dark appearance, caused by tannins which are also responsible for the bitterness in these beverages. Treat the stain as soon as possible with Simple Green to dilute and disperse the tannins in the coffee or tea spill, and what could have been a stain nightmare comes out in just a few quick and easy steps. 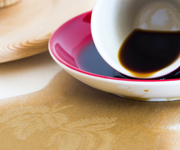 Whether you spill pan drippings on the tablecloth or drop a buttery roll in your lap, the sooner you can attend to buttery, greasy stains, the better your chances of removal will be. Simple Green lifts grease and oils with a cleaning formula that's tough on stains but won't harm fabrics or washable surfaces. Grease stains don't improve with age, and can attract other dirt, so act quickly when stains happen. Dropped a dollop or spilled the creamer? Don't fret. 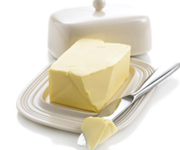 Most dairy products are combinations of fats and proteins, which can be easy and quick to remove using Simple Green. Chocolate is a tricky and tasty combination of fats, sugars, tannins (brown dye), and protein (milk), making it difficult to remove. The challenge increases if you or your guests spill hot chocolate on clothing, carpet or upholstery, because the heat from the hot chocolate will cause it to penetrate deeper into and grab harder onto the material. Simple Green will break up the complex chocolate stain for easy removal, without harming your fabric, carpet or upholstery. Whether lipstick makes its way onto linen napkins or your good shirt, the oils, waxes and bright color pigments can ruin a surface if not treated properly. Common remedies including bleach or hair spray can damage delicate materials. Instead, use Simple Green to break up the lipstick ingredients and safely remove the stain. Blood stains can be problematic, with a challenging mix of proteins and the iron in red blood cells making really stubborn stains in the affected material. 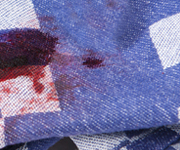 Avoid soaking bloodstained items in hot water, because heat can actually make blood stains worse. Instead, use Simple Green to safely break apart the bonds in the stain for effective removal. Simple Green All-Purpose Cleaner is also available in Lemon and Lavender!